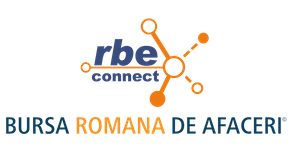 In 2001 the German group H.F. Wiebe entered the Romanian construction market and between 2001 and 2004 contributed to the rehabilitation of the first Romanian railway section belonging to the Pan-European Corridor IV, from Bucharest to Campina. Carpathian Construction Trust executes: civil and industrial buildings (houses, blocks of flats, commercial, sports buildings, hospitals, schools, kindergartens, business centers); plumbing, heating (heating), electric; waterproofing – waterproofing works; interior design works; high quality finishes; aluminum clothing – garments made of aluminum with various applications. Spiritul Sika este sinonim cu un set puternic de valori și principii care constituie ADN-ul companiei. Cinci principi de management exprimă cultura corporativă și sunt fundamentul succesului viitor: clienții în primul rând, curajul de inovare, sustenabilitatea și integritatea, emancipare și respect, gestiunea către rezultate. Lbbw Immobilien Gmbh was founded in 2006. The Company’s line of business includes constructing single family homes and other buildings. Member of the Hochtief holding, German company HOCHTIEF Solutions AG is present on the Romanian building market since 2006, thus continuing a tradition which was established in the first half of the last century. Directions of activity: industrial buildings; office and commercial buildings; environmental projects; infrastructure works.